Home Cars in Movies Where did all the General Lee Dodge Chargers go? Today’s article is for those muscle car enthusiasts who loved the famous american TV show from the 80’s called “The Dukes of Hazzard”. The Dukes of Hazzard really wasn’t an example of care of cars when it came to those crazy stunts and high jumps made with General Lee, a red Dodge Charger from 1969, and those who watched the series didn’t really think of the fact that a whole bunch of Dodge Chargers were destroyed, I mean the legend of muscle cars was tortured so hard that they didn’t have anymore 1969 models to use in the show and they started killing models from 1968 to 1971! People love to be entertained and that’s fine and all but I really feel bad for all those Dodge Chargers that went to the car yard Heaven! Now, the thing is that most of the Dukes of Hazard stunt cars were totaled but what about those which escaped and didn’t go to the junkyard? Where did the remaining General Lees disappear? Some General Lee Dodge Chargers did survive the stunts but most of them were re-used as “bucks”; They were repaired and repainted for further use in other “acting” roles like those chase cars until they were sent to a junkyard crusher.This is how almost 220 Dodge Chargers were simply gone, like they weren’t even produced, by the end of the series! 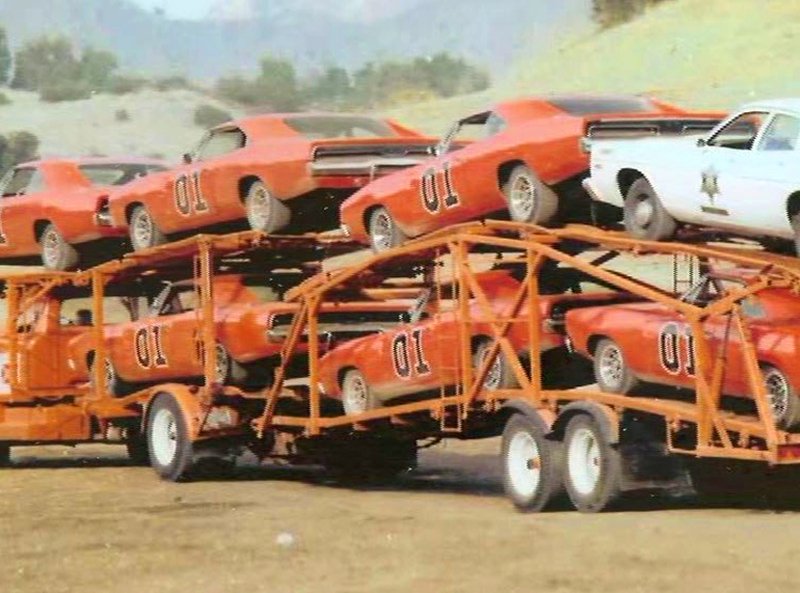 But still, when the ratings for The Dukes of Hazzard went down and CBS pulled it off the air, 18 abandoned General Lee cars remained at the set to gather dust for five long years; In 1991, Warner Brothers remembered that they had some valuable stuff that could make some big dollars and they sold 17 of those cars to private owners around the world. 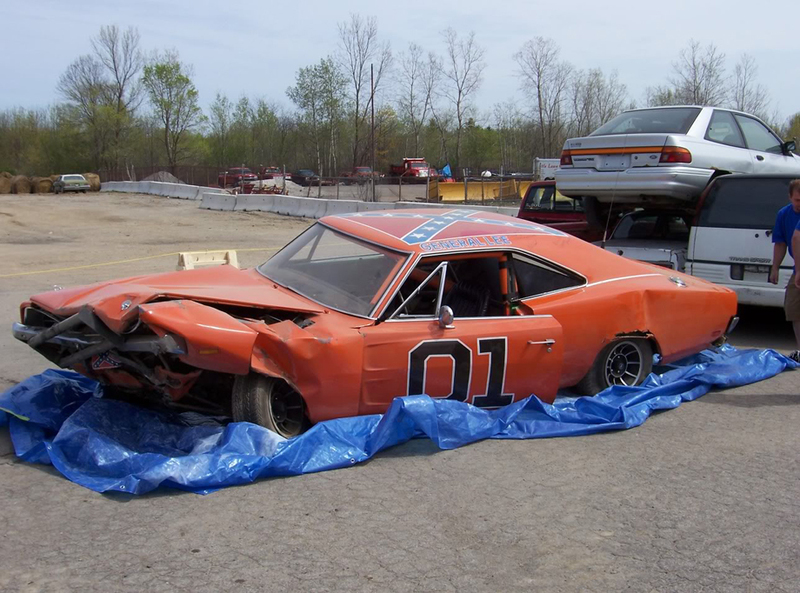 During the years, they were scattered everywhere and in 2001, a junkyard found General Lee from wait for ittttt, the first episode, was restored with great car care and then sold at a whopping $110.000 price tag, now that’s a high acquisition cost! Previous articleWho was the first auto manufacturer to put 4 wheel steering on its cars? Was it good for parking? The cars weren’t red, they were orange. The GM color code was called “Flame Red”, though it was an a variant of orange. The writer of the article is technically correct. The color of the General Lee was “Flame Red” which was a GM Corvette paint. However, Flame Red did have an orange appearance to it. The real story of what actually happened to the remaining General Lees is somewhat different than what is told here in this article. Warner Brothers actually contacted Wayne Wooten in Keysville Virginia, the President of the Dodge Charger Registry, and offered the remaining General Lees to be purchased by his members for the cost of $3000 each, regardless of condition; but each had to sign a contract never to use the cars in any advertising. Wayne was actually presented with the last close up General Lee by the studio as he had been in constant contact with them and they liked and appreciated his dedication to the show and preserving what was left arguably the most famous car in the world. He later also obtained a second original General Lee that had been jumped in the show, and then hung on a billboard in the Hollywood area to advertise the show. The cars were purchased by members of the Registry as far away as Australia. Every stunt with the General Lee was done by adding concrete or sand inside the car in order to keep it from flipping but all the cars that were used rarely survived the crashes.